Plymothian Transit: One Hundred and fifty not out! One Hundred and fifty not out! 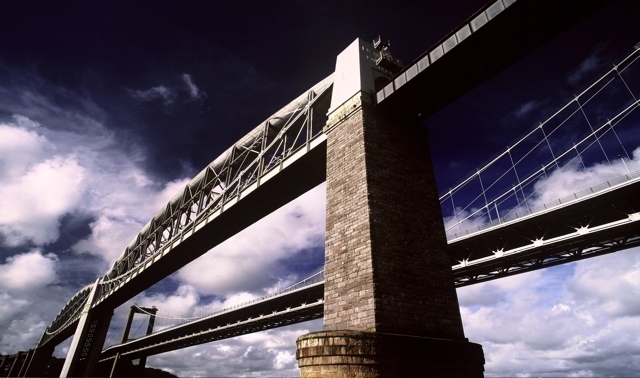 The railway bridge in Saltash has stood tall for 150 years and has carried more than 1 billion tonnes of rail traffic since it opened. Today, it remains as the only rail link to and from Cornwall and the only bridge of its kind that still exists. It was a once-in-a-lifetime experience for many who joined the walk on 3 May as that was the first time after 25 years that the railway bridge was opened to the public to cross by foot. 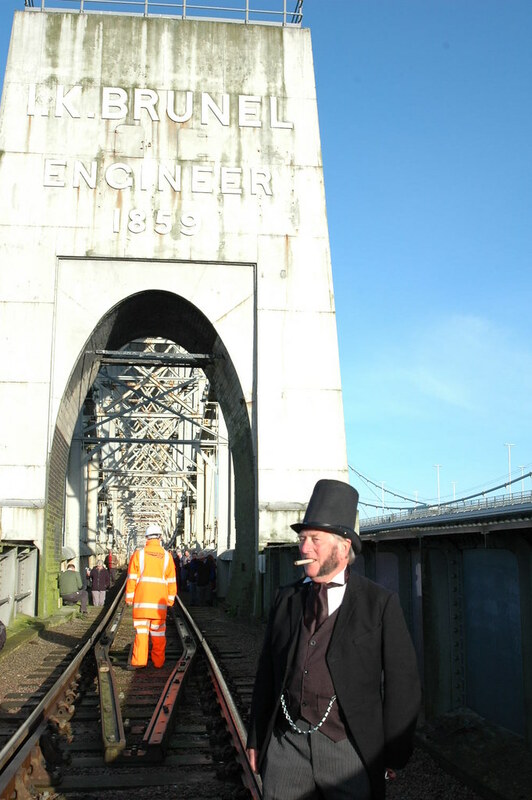 It was a rare chance for them to come up close and personal with the bridge and to share Brunel’s first and final experience when he crossed the bridge before he passed away four months after it was completed. Jerry Swift, head of corporate responsibility, Network Rail said: “We are delighted to have been able to make the Ashtorres Brunel Bridge Committee’s brilliant idea a reality. What a fantastic way to celebrate this iconic bridge, by giving local people a very rare opportunity to walk across it. Brunel’s Royal Albert Bridge is a masterpiece, a vital link between Devon and Cornwall, and an engineering achievement that all of us in the rail industry are very proud of.” I could not get on the walk myself but photos on the Network Rail press release get us a lot closer to the bridge than we normally get. You can see why the bridge needs the refurbishment that is planned over the next couple of years. IKB himself made an appearance, complete with trademark cigar. A nice touch by Network Rail. The real IKB of course missed the official opening of the bridge on the 2nd May but did get to travel across the bridge on an open wagon on the 4th May. He died in September of the same year, 1859. 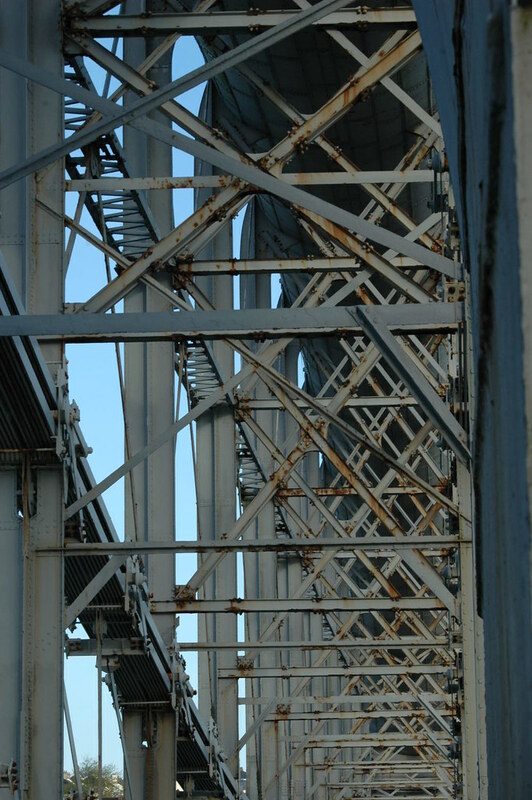 The forthcoming investigations prior to the full refurbishment of the bridge will try to determine the original paint colour of the bridge which is thought to have been a brown colour. It would be good to see the bridge back in its original hue, but it would take some getting used too as its been grey for years!